Whether it’s a residential court or a competition-level facility, TPS® Court Systems has a variety of add-ons tailored to meet each customer’s specific needs. 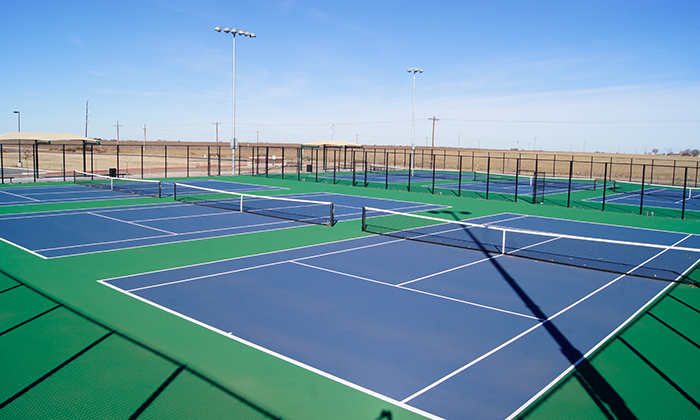 Complete a new court with accessories such as backboards, cabana benches, and custom logos, or full-installations including clubhouses and locker rooms. Tennis windscreens will make sure the court is ready for play even on the windiest of days. 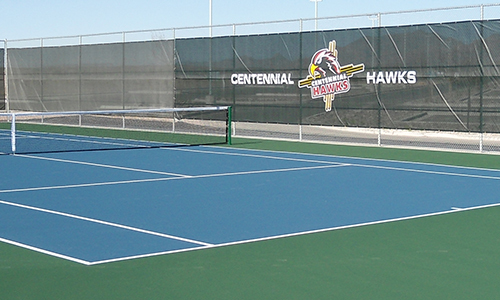 In addition to reducing wind downtime, windscreens also serve as striking backdrops that enhance the look of tennis courts and add contrast to the tennis ball, customized with logos and team or association colors. Custom-designed logos and additional markings make every installation stand out, and can be added to court surfaces and windscreens. Hellas can install full-on lighting packages that provide a comfortable, superior experience to tennis athletes. 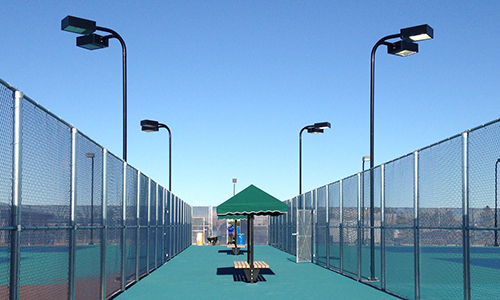 With customized color and finish, these lighting systems ensure that the illumination perfectly blends into every court. Cabana benches offer a simple, elegant way to upgrade courts. 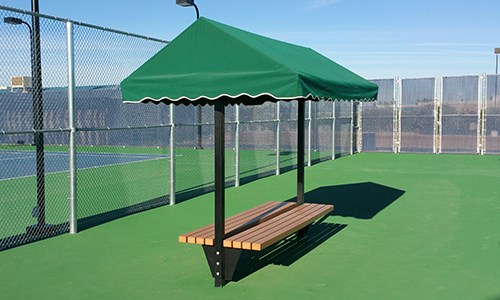 Cabana benches will add an extra “punch” of color to each unique court, and offer a better playing experience to tennis athletes as it guards against the sun and rain, increasing the playable hours of the court.